Low-cost PCs are still available, but high-quality PCs are in bigger demand. In 2008, netbooks sparked a PC-buying frenzy as hundreds of low-power laptops were available for as little as $150. But those days are long gone, and low-cost PCs—particularly with Windows—are becoming scarce. As the overall PC market shrinks, mobile devices have replaced low-cost PCs for many users. Those who are looking for a new PC more often than not are interested in a high-quality machine; buyers of low-cost PCs are currently in the minority. It will be possible to find low-cost laptops, just not as many as in the last few years. You’ll find the best deals with Chromebooks—which are like netbooks—but they had just 2.8 percent of the overall market share through the third quarter of last year. Chromebooks have Chrome OS and are for Web-based computing. HP and Dell are phasing out low-price PCs, offering only a handful of Windows laptops and desktops priced under $300. The companies don’t want to participate in the cut-throat, low-margin PC business, and like Apple are focusing on premium-price products. That leaves just Acer, Asus and Lenovo. Lenovo’s cheapest laptop is the Windows-based IdeaPad 100, which starts at $179, followed by its Chromebook, which starts at $199. Other laptops are priced above $341. Chromebooks sparked a PC price war in 2014 and early 2015, but that is now over. Microsoft responded to the low-price Chromebook threat by encouraging PC makers to develop inexpensive laptops with the free Windows 8.1 with Bing OS. The subsidies went away when Microsoft released Windows 10, and most of those low-cost laptop models are off the market, said Jay Chou, research manager at IDC. Mobile devices have helped clear out a segment of low-cost PC buyers who now use tablets and smartphones for basic computing. Of the PC buyers who remain in the market, a large number need fast PCs and are willing to invest in advanced hardware like better screens, faster processors, more memory and SSDs, Chou said. PC shipments in 2015 were 276.21 million units, declining by 10.4 percent compared to 2014, according to IDC. 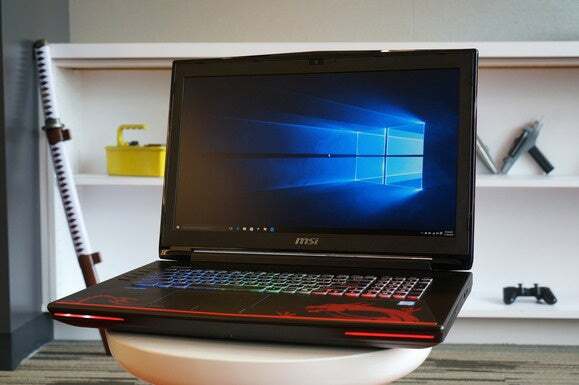 Pricey gaming desktops and laptops registered the fastest growth in 2015. Gaming and virtual reality are expected to drive high-end PC shipments in the coming years. Businesses will also upgrade PCs this year, and corporate laptops and desktops are typically priced higher than consumer models. Some business users could switch over to tablet-laptop hybrids, which are priced at a premium due to thin sizes and high-end components. Intel and AMD this month said they expect PC prices to go up this year, as they did in 2015. Gartner and IDC are not forecasting big changes in prices this year, with some exceptions. For example, hybrid prices will gradually decline as demand ramps up and component prices fall, according to Gartner analyst Mikako Kitagawa. PC prices in the U.S. went up last year, and currency fluctuations affected prices in many countries. But prices won’t influence overall PC shipments like they have in the past, and quality now matters more to PC buyers, Kitagawa said.